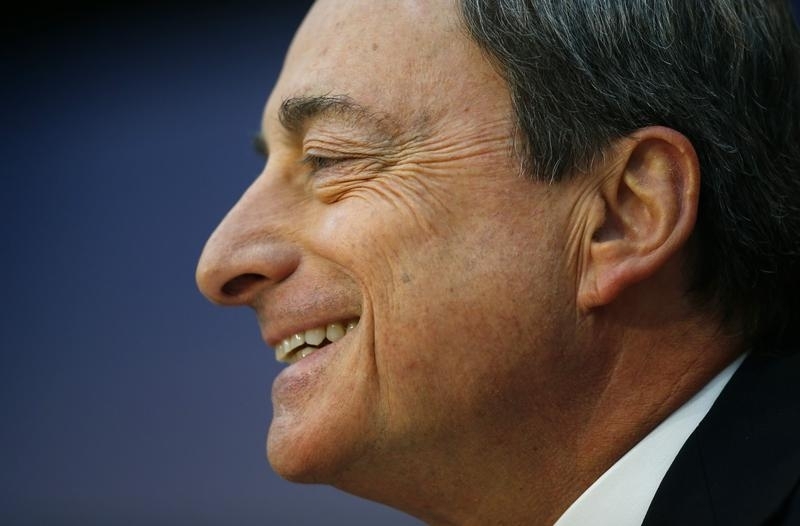 Financial markets are more convinced by Mario Draghi’s hint of a June easing after reports the Bundesbank could support the move. Traders who are still ruling out a deposit rate cut may want to reconsider if they don’t want to be caught on the wrong side of the ECB. Fifteen out of 23 money market traders polled by Reuters say the European Central Bank won’t cut its deposit rate in June. The euro fell, while Bunds and European stocks rose, after the Wall Street Journal quoted an unnamed source as saying the Bundesbank was willing to back an array of stimulus measures next month, including a negative rate on bank deposits and purchases of packaged bank loans, if the ECB needed to keep inflation from staying too low. Two Bundesbank sources told Reuters it was not new that the German central bank was ready to support ECB policy action if it were needed.